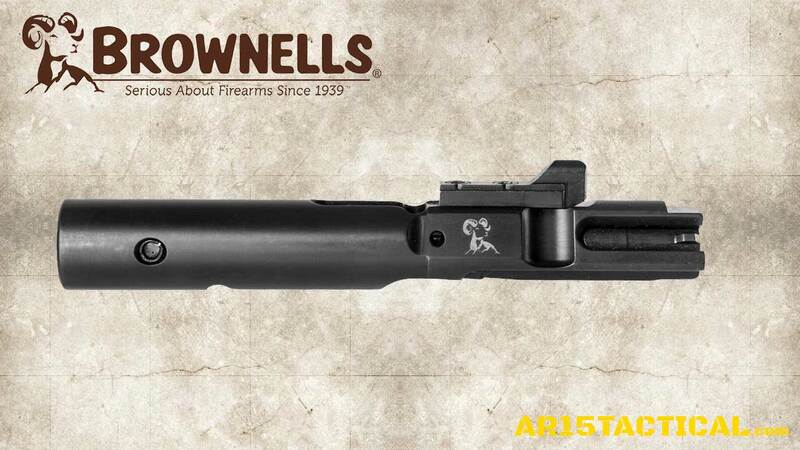 The BROWNELLS AR-15 9MM BOLT CARRIER GROUP is Brownells latest entry in their own branded AR-15 parts. In the super competitive aftermarket AR-15 parts and accessories world Im glad to see them step up their game and branching out beyond magazines, barrels and flash hiders. 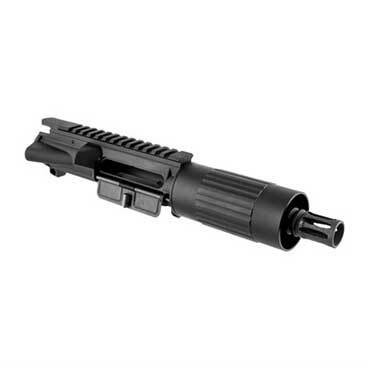 A Brownells branded 9MM AR bolt carrier is a safe bet for your 9MM carbine. 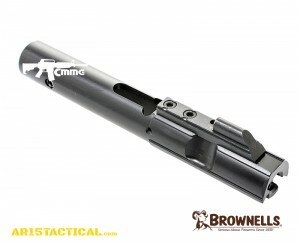 The Brownells 9mm AR-15 Bolt Carrier Group is specifically designed for use in pistol-caliber carbines, which are a growing trend in the AR-15 world. 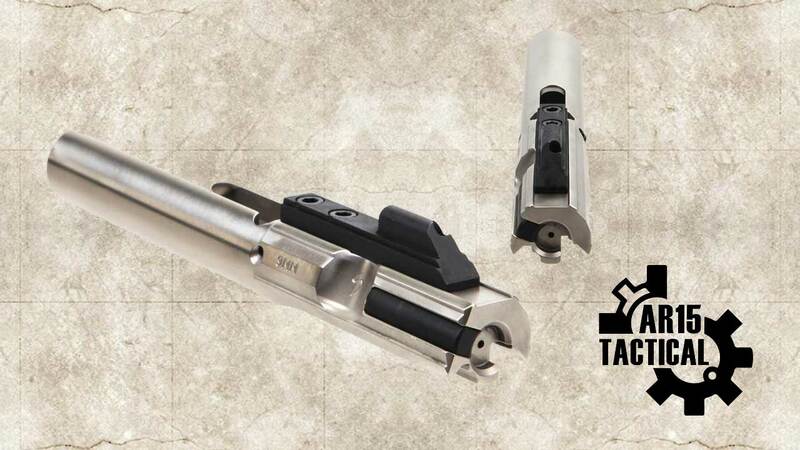 This bolt-carrier group allows AR builders to custom-make their own 9mm AR. The Brownells 9mm AR-15 Bolt Carrier Group is constructed entirely from a single piece of steel billet and features a pinned weight that can be taken out for compatibility with different buffer systems. The Brownells 9mm AR-15 Bolt Carrier Group also features a captured firing pin in order to prevent the possibility of slam fires. Complete 9mm AR15 BOLT CARRIER GROUP. The drop-in carrier/bolt assembly is ramped on the bottom to provide clearance for a factory .223/5.56mm hammer in your 9mm conversion. Eliminates the need to install a dedicated 9mm hammer, so the original fire control system stays intact for easier conversion back to original caliber. Precision machined from high-grade ordnance steel, the one-piece design combines bolt and carrier as a single unit to provide outstanding strength, durability, and reliability. Includes a staked-on carrier key. SPECS: Steel, black oxide finish. 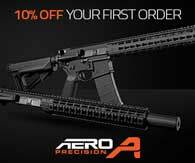 Fits rifles and carbines with Rock River Arms and Colt-style 9mm blow back system. JP JPBC-9MMA JP Enhanced 9mm AR15 BOLT CARRIER GROUP is machined to the same exacting tolerances as our bolt carriers, this second generation 9mm bolt assembly is an entirely new design that eliminates the need for a central mass (slug) to readily function with our 9mm JP Silent Captured Spring without compromising bolt weight and reliability. In fact, when combined with our JPSCS-9MM, you have the heaviest, most reliable 9mm operating system that dramatically reduces bolt bounce while improving accuracy. 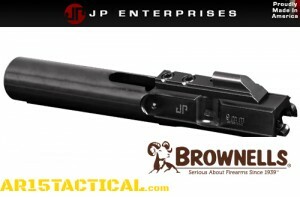 The JPBC-9MMA is compatible with both Colt SMG-style magazines and Glock pistol magazines.The JPBC-9MMA is also compatible with our JP side-charging uppers.